Why Does My Conference Need a Translator? In today’s global economy, leaders from many industries are meeting with peers from a broader geographic area than ever before. As industry conferences become worldwide events, the need to communicate with colleagues speaking different languages is paramount. Many of these conference attendees only speak his or her native language and finding ways to break the communication barrier becomes a pivotal challenge for meeting and conference planners. What is the best way to meet the needs of a growing international audience? How can meeting planners confidently address language and cultural customs of potential clients? Conference staff will feel confident and comfortable greeting guests knowing that they can communicate directions and information with those attending. Interpreters can also help staff and presenters understand social customs and norms so they can be sensitive to the needs of guests from diverse cultures. 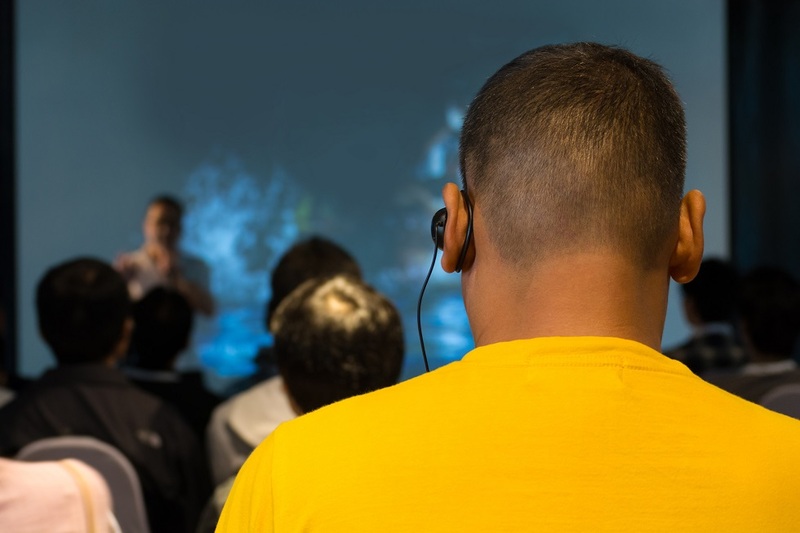 Presenters will be able to clearly and confidently convey their message to an international audience knowing that conference interpreters will be able to communicate their message to all attendees. Presenters can focus on their content knowing the audience is understanding it. By providing translation services, conference attendees will feel valued and welcome. Audience members will be engaged and able to process information in real time. A quality translator can get your message across clearly and shows your attendees that their experience is of the utmost importance. Conference attendees will leave your conference feeling like they got their money’s worth from attending your event. For conference attendees, knowing they were able to hear the information given in their native language leaves them confident that they have retained the maximum amount of information. Hiring a translator for your meeting or conference shows potential attendees that you value their business. They will leave feeling encouraged by their ability to learn new information. This makes them more likely to attend your conference or meeting again and to recommend you to colleagues and peers.